I am training for a 10k race in May. The race is in May, not the training. The training is now. Or at least it was until I got reinjured. Injuries are the worst. I had the best intentions of sticking to my training schedule and now I can’t! But of course I still feel guilty. As if I was faking the injury just to get out of training. It’s all so silly. Runner’s guilt, who has felt this before? On top of that, I have to slow down which is very hard for me. I like being fast, efficient. At least with this smoothie in the morning, I can feel like I am still doing something healthy... even if it’s not running. 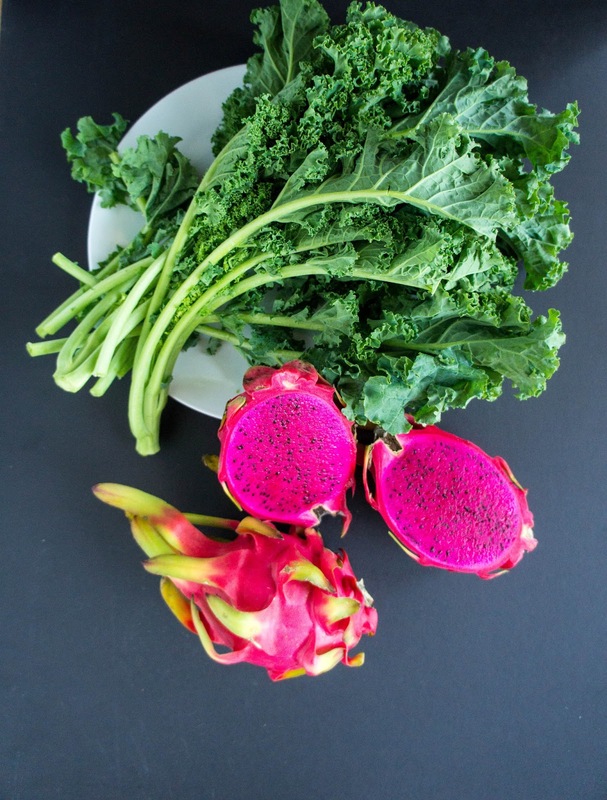 Kale is big and green and has so many healthy things in it like iron and calcium, especially important for women. 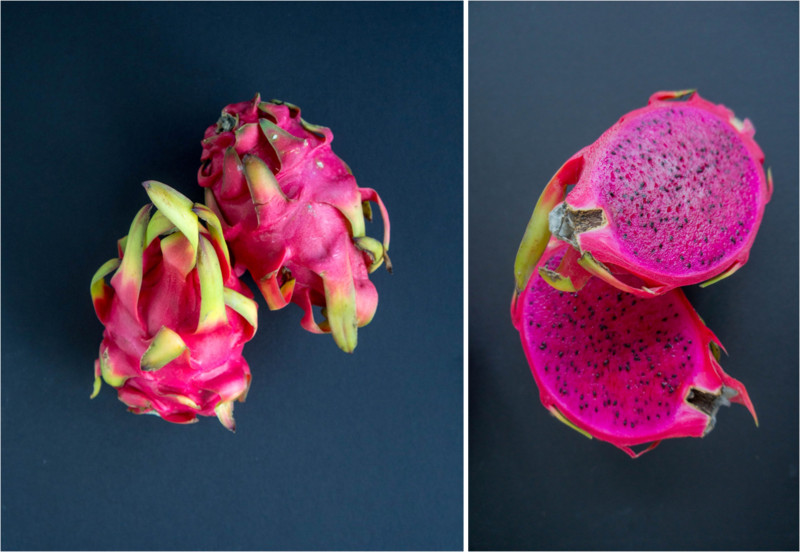 Dragon fruit is fresh and juicy; I think it tastes like a cross between a kiwi and a pear. And just look at it! That colour wins me over every time. Coconut milk provides some liquid with a very subtle taste. 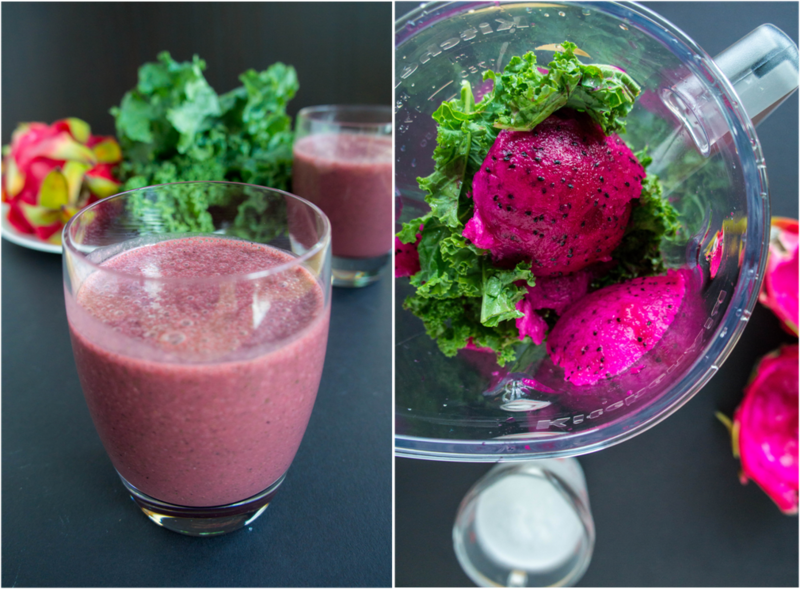 Altogether you have a smoothie that tastes refreshing, not too sweet, and makes you feel like you’re drinking pure health. So if you’re injured, don’t feel guilty for resting. It’s a must and a much better idea than making the injury worse. And if you’re training for a run, you can do it! You can meet your goal. Either way, drink a healthy smoothie and give your body a little love. 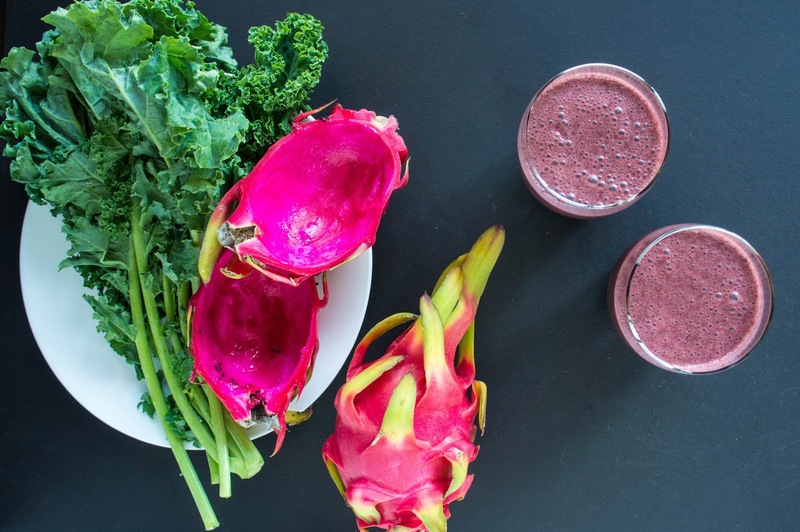 Cut the dragon fruit in half and scoop out the flesh with a spoon. 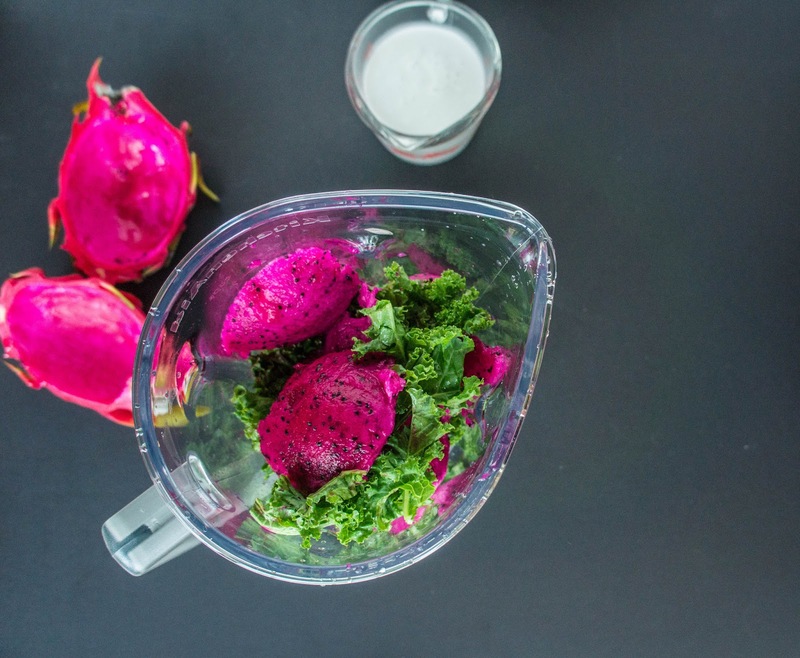 Place this along with all other ingredients in a blender and blend until smooth. Makes two large smoothies or 3 smaller smoothies.